It’s not often you’re the first to ride a brand new bike, a nice new bike out the box, yes, sometimes, but not the first one in the world out of the box, ever. And it’s quite some privilege. road.cc have been lucky to follow the progress of the Kinesis Crosslight Pro6 disc-braked cyclo-cross bike from its prototype stage to its final production and Kinesis UK were kind enough to let us be the first people ever in the history of ever to turn a pedal on their brand new baby. Designed to be a cyclo-cross race bike first and foremost with the necessary attacking stance, tapered head-tube and flattened top-tube but with added utilitarian bike rack and guard mounts for workaday action rather than a Sports Utility Cross that you might race once or twice the Pro6 can be an Aggressive Racer, Fast Tourer or Pro Commuter. This one here has a very flattering showing-off build that somewhat belies its friendly price of £529.99 for the frame, fork, headset and seatclamp package. As well as Kinesis bikes Upgrade also bring in TRP brakes, Reynolds wheels and Oval products so the brand new TRP Parabox cable-to-hydraulic brake converter hides under the stem and connects to the even newer Reynolds Assault carbon tub rimmed 135mm spaced disc wheels while a box-fresh Oval saddle tops things off. A rather swanky Campag. Record 11spd groupset does the gears while seatpost, stem and bars are SL-K of the FSA. Right then, pedals on, set the saddle height, pump the tyres, let some air out the tyres, squeeze the brakes, spin the wheels, go. With Dom the bike's designer looking on there’s a dash of trepidation but the first proper kick on the pedals eveals that the bike is as it should be and everyone’s happy, it’s not a sluggish mudguard and rack ready tourer dressed up to look like a CX bike, nor is it a drop-barred hybrid, at its heart it’s a proper fast and punchy cyclo-cross racing bike, a second jab on the pedals and the bike responds again, and yet again to a third kick. I get to ride the bike all day for photographs, a process that basically involves interval sprints in front of a Canon and the bike never stops wanting to pounce. Excellent, keen enough to race, and you can bolt useful stuff to it to. That’s that part of the design brief ticked off then. On to the Reynolds wheels, I’ve never ridden tubs before and now I wished I hadn’t, because I need to find some money to buy a set. Okay maybe I'm being spoilt here these FMB Super Mud tyres are hand made in France, the new boiler will just have to wait. The ride feel is exquisite, the grip is exemplary and the ability to clatter over roots and bumps and bottom out on the rim without fear of puncturing is a revelation. I’ve tubelessified a set of normal tyres and that was fun, until the double-puncture incident, but tubular tyres are a whole new level of wonderful. Get some. 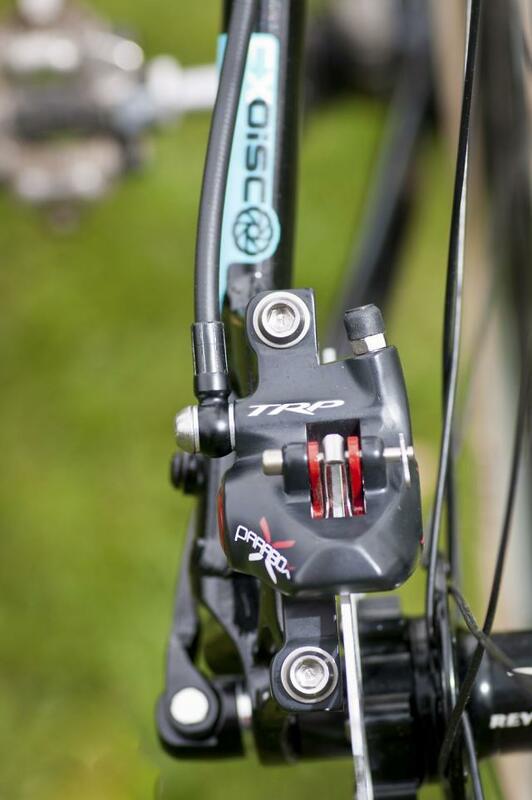 For the brake-chattering classes the big news on this Pro6 is its disc-specific frame and in the case of this one here the TRP Parabox hydraulic disc brake converter, allowing the use of hydraulic disc brakes with cable-pull road levers. 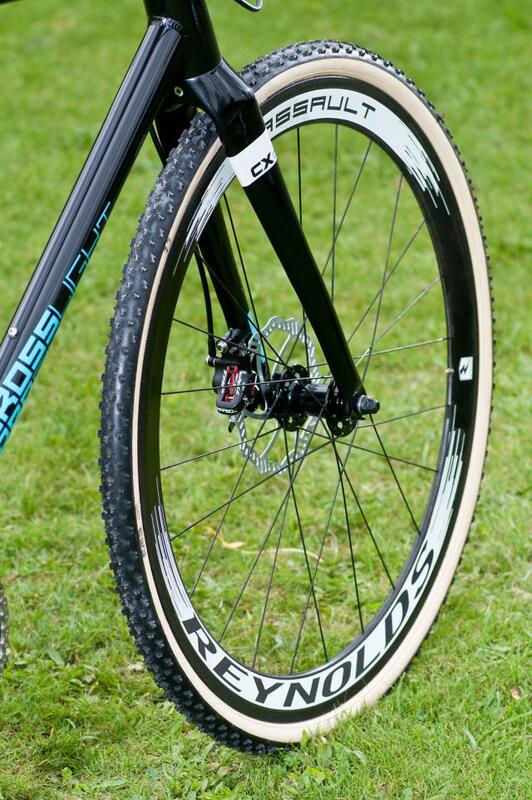 The subject of using disc brakes on a cyclo-cross bike has been one of passionate discussion, the pros are braking predictability, especially in the wet and mud, added power, lack of fork judder and non-existent rim wear, but detractors have been put off by cable discs being weighty and problematic, needing frequent fiddling to stop rubbing and drag and still susceptible to the friction and vagaries of cables, seen as a catalogue of niggles worth avoiding, especially as purists say cantilevers are just fine for CX racing, light, simple, and good enough just to scrub off a bit of speed rather than come to an effective stop. 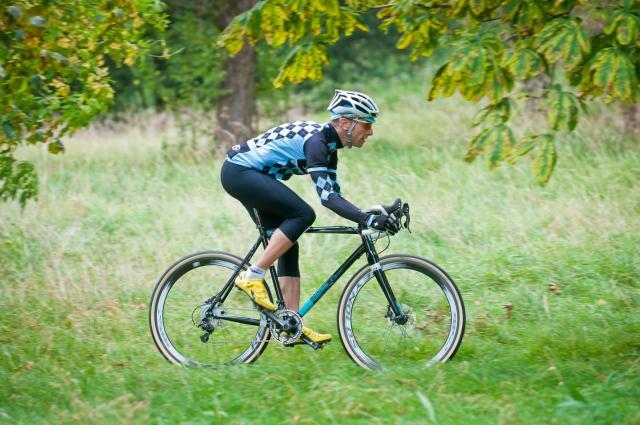 The trouble is cyclo-cross bikes are used for more than just racing these days. Running hydraulic brakes should put a stop most of these downsides whilst keeping most of the benefits. One of the concerns often voiced about using a decent brake system is that it would be too powerful for the available traction of a CX tyre with its small contact patch and would skid too easily; this simply wasn’t an issue braking with the Parabox. It took about three pulls on the lever for the brain to learn how much effort was required for adequate braking, and I simply got on with things. Stopping is a ground-breaking (heh) departure from cantilevers and a leap forward from cable discs when sometimes the only way you know the brakes are working is by the grinding noises. 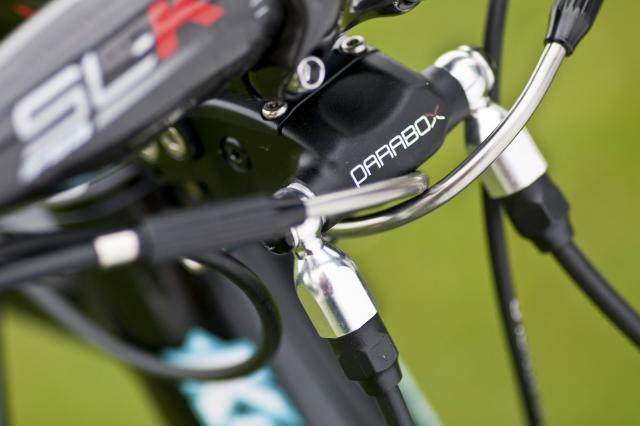 Brake feel with the Parabox is silky smooth, and stopping is reliable, easy and instinctive and after a couple of hours of mucking about on the bike there was a small epiphany in the trees, an off-road to Damascus moment if you will. Repeatedly riding a section of trail through the woods for the camera that was rooty and usually interesting enough on a mountainbike I realized I was riding the roots harder, hitting corners faster and generally handling a ‘cross bike in a way that I’d never done before. Rather than waste time and precious effort in hauling on the brakes to control the bike the lightness of touch that the hydraulic brakes allowed, with the levers just needing swift and delicate fingertip control, almost like playing a piano, the whole upper body was loose and free to concentrate on bike control and the part of the brain that would normally be focusing on braking was able to think about pedaling faster and where to point the bike next. Cor. No one was really expecting that, not even the bike’s designer. The Crosslight Pro6 is better than the sum of its parts. This isn’t the first time a cyclo-cross bike has had rack and mudguard mounts put on it, this isn’t the first time a cyclo-cross bike has run discs, this isn’t the first time a cyclo-cross bike has had a tapered head-tube, but this could be the first time all of these have been thrown together so successfully. The bike works fantastically as a symbiotic (good word - ed) unit - the frame is designed to be ridden fast, the tapered head-tube means you can keep going fast without any whimpering from the front end while the fat carbon fork takes the bite out of the trail yet tracks true, the Parabox controlled disc-brakes allow the rider to brake easier and later, with confidence and more control and finally the tubular tyres allow you to do all this with all the grip you need and freedom from punctures. This bike could be a game-changer. 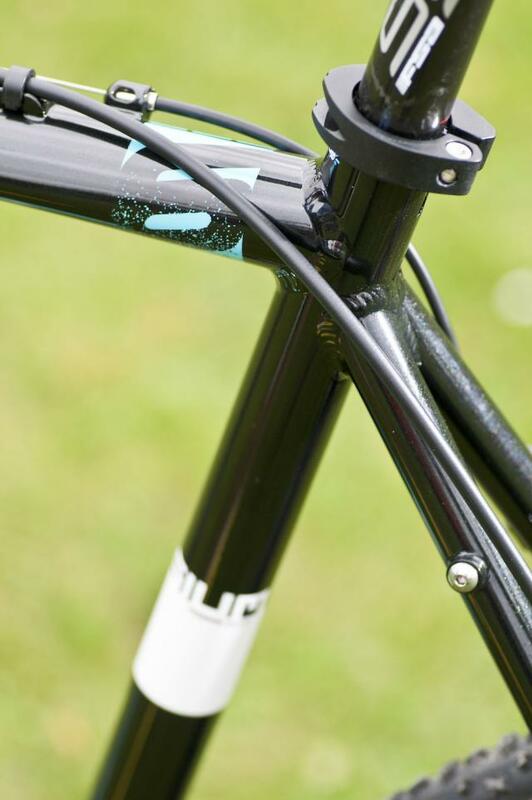 The Crosslight Pro 6 comes as a frame, fork, headset and seatclamp for £529.99. 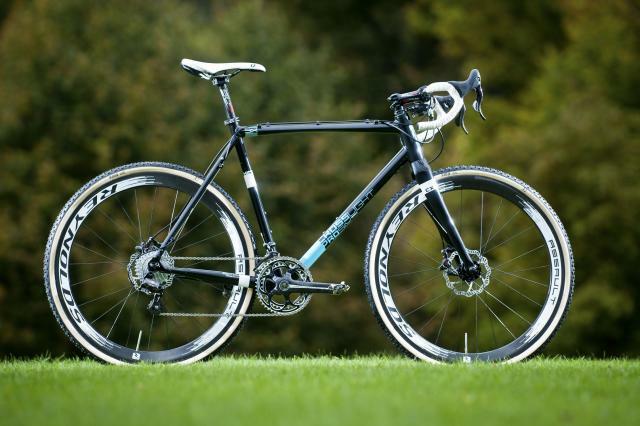 With what I suppose you might call the dream build that I rode it would set you back £3731.98 with that Campag Record 11-spd gruppo and the Reynolds Assault CX Disc wheels accounting for the bulk of that at £1100 and £1200 respectively. Dom is also going to put together a White FB build (no I don't think FB stands for Facebook in this context either… but I er, forgot to ask him what it did mean) anyway it'll have mudguards/ rack 1.5in road tyres, Tektro discs with Microshift drivetrain and he is aiming at getting that in at below the magic £1000 cycle to work scheme figure, be quite a good feeling riding a proper race bike to work.